As the 2013 SAFF Championship kicks-off there is tremendous pressure on Nepal’s national team to win South Asia’s premier football tournament. With a familiar home ground, a rabid fanbase supporting them and an adoring media in their corner, the pressure to win the biennial competition is more than justified. Unlike age-group contests, at the senior level results do matter and it is time Nepal ends its twenty-year trophyless run in major international tournaments. While minor faults can always be identified, by and large the All Nepal Football Association (ANFA) has done its part to prepare the team for the SAFF Championship. It has brought in foreign coaches which fans have been clamoring for, organized a three month closed camp, and sent the team on what most football observers perceive to have been a very successful pre-tournament tour in the Gulf region. Now the onus is on the coaches and players to deliver the results the entire nation has been waiting impatiently for two decades. No excuses please. No generation of Nepali national team players has ever had it as good as this one. In today’s depressed economy almost all of the current national team players are earning salaries well over 50,000 Rupees a month. They are racking up so many two-wheelers they could probably open a motorcycle dealership. Players seem to be getting bonuses for even the pettiest of accomplishments. Furthermore, the current squad has the talent to win matches. Rohit Chand has been putting on formidable performances and scoring spectacular goals as a defensive midfielder in the respected Indonesian league. Mercurial attacking midfielder Bharat Khawas, who sacrificed opportunities to play abroad to join Nepal Army Club, has been in high form for the past few years. Midfield maestro Jagjeet Shrestha ran circles around Indian powerhouse club Mohan Bagan in a recent friendly and by all accounts could be a star player overseas if his discipline matched his panache. Apologists will always point to the many shortcomings that exist in Nepali football, but in the SAFF Championship Nepal is going up against Asian minnows Bangladesh, Pakistan and India, not heavyweights like Japan, Iran, South Korea or Australia. The countries Nepal is matched up against have just as many deficiencies in their football sector. Quality football facilities in Bangladesh are non-existent, Pakistan’s league is still primarily amateur and Indian football blogs complain about the lack of preparation its national team has had in the lead up to the tournament. Regardless of nationality, most of the players in the SAFF Championship pretty much grow up on the same diet of dal bhat, Maggi noodles and cups of tea. They learn the beautiful game barefoot in neighborhood gallis and go on to showcase their talents at dilapidated stadiums. No country in the region really has a structural advantage over Nepal when it comes to football. Conversely, in contrast to Nepal where football is the premier sport of the masses it is at best a distant second to cricket in terms of popularity in most other South Asian countries. 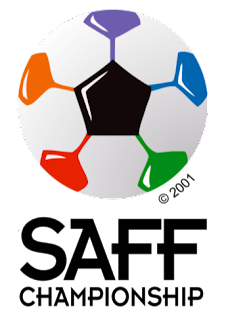 It is thus quite pitiful that in nine editions of the SAFF Championship and its predecessor the SAARC Gold Cup Nepal has not even been able to reach the finals of the tournament. Only Pakistan and perennial whipping boys Bhutan have a similar blight on their record, though Pakistan does have two recent South Asian Games (2004, 2006) gold medals to brag about. With home field advantage, a strong crop of players and evenly matched opponents Nepal right now has a golden chance to finally lift the SAFF Championship trophy. So to Nepal national football team Head Coach Jack Stefanowski, his assistants and players - the pressure is on boys. The nation is counting on you. Best of luck.